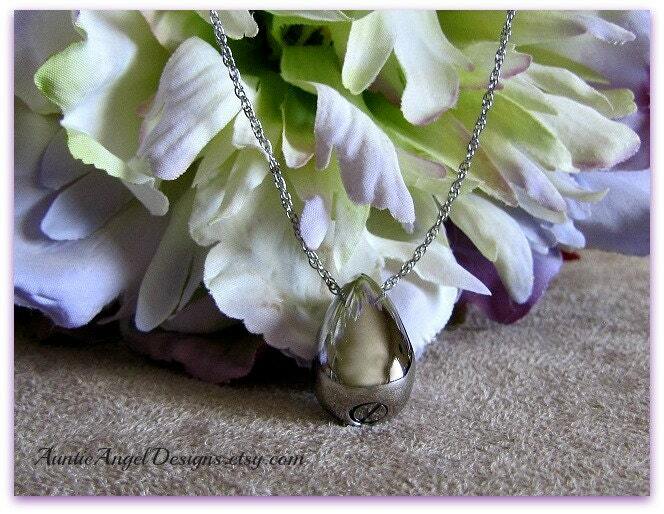 This gorgeous teardrop cremation urn necklace is crafted from quality stainless steel to hold a small amount of your loved one's precious ashes. The keepsake urn necklace arrives on my specially designed backer card, which reads: "I dropped a tear in the ocean. The day you find it is the day I stop missing you." I include a funnel kit so you may transfer a small amount of your loved one's precious cremains through the bottom of the pendant urn. All you will need is a small screwdriver. 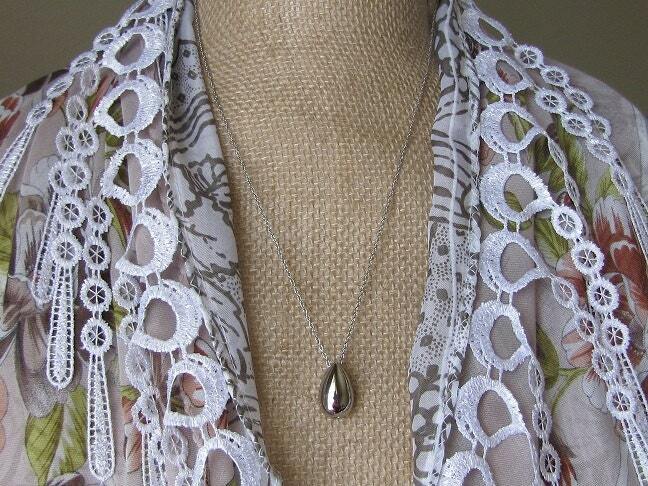 The cremation urn necklace comes beautifully gift-boxed with ribbon and is ready for gift giving. This teardrop cremation urn is so incredibly beautiful. I have received many compliments. I would choose nothing but the very best in which to honor my daughter. Fast shipping and beautifully packaged. I love how much thought and love is sent with my necklace it was beautiful. Thank you. This necklace is beautiful and exactly what I wanted. The way it was packaged and the heartfelt note that came with the tools for placing the ashes inside the necklace meant a lot to me. Very pleased with my purchase! Thank you.